LANXESS-SNYO Classic ‘Musical Virtuosos’: Exclusive Interview with Jason Lai! Apologies for the long hiatus, there have been a few log-in and password issues, but everything’s back and running – and just in time too, for the upcoming LANXESS-SNYO concert happening at the Esplanade Concert Hall on Thursday evening. As a lead-up to the concert, Plink, Plonk, Plunk gets in contact with three of the people involved. Here’s the first of three interviews, and it is none other than the conductor, Jason Lai. The British orchestral conductor has been hailed by the BBC as one of the leading lights in a new generation of young conductors after winning the BBC Young Conductors Workshop. 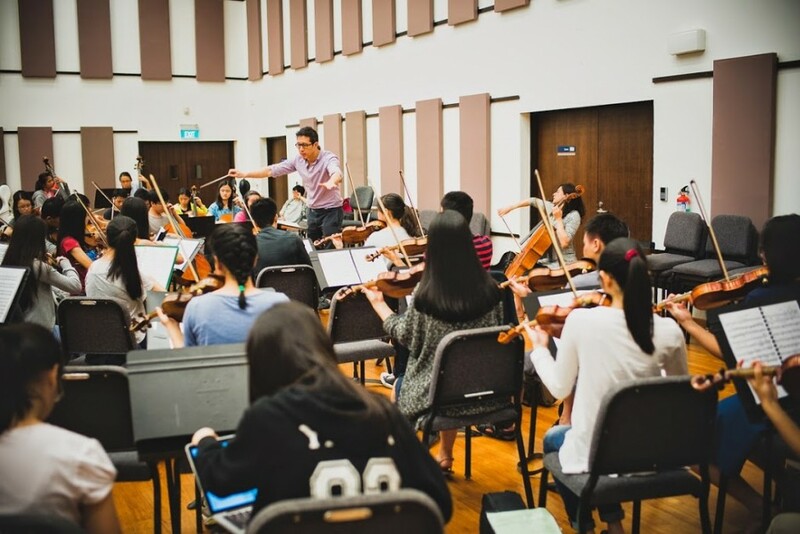 He is also a broadcaster, cellist, and composer, and is at present the Associate Conductor with the SSO, the Hong Kong Sinfonietta, and Principal Conductor of the YST Conservatory Orchestra. As he keeps an extremely busy schedule, he gives his answers in an e-mail interview below. You’ve studied composition and cello and then conducting, which is your favourite thing to do? I miss playing the cello, particularly chamber music, and composing new pieces but conducting is my favourite thing. Every time I conduct I get an incredible buzz. Especially since I get to conduct great music, great works of art that have been left to us by great composers! Do you still have time to play cello and compose when you’re conducting so much? Unfortunately not, however, I still love to listen to the cello and explore new music from the new generation of composers. And if you still have extra time, what do you like to do in your spare time? My passion is photography. I always take my camera with me when I head out to explore. My camera is always on, and I never leave my lens cap on. This way I can capture interesting moments at all times without missing a beat. I’d love to hold a photography exhibition soon and am working to create a collection of work that I would very much like to share. You’ve won a conducting competition and that resulted in a chance to conduct the BBC orchestras and choirs. What was that like? What did you learn from it? It was tough! On the hindsight winning the competition was the easy part. When you are standing on the podium for the first time as a winner, you then encounter the difficult part – proving to yourself and to everyone why you deserved the win. I always advise my students that you are only nervous when you are not fully prepared and engaged with the music. You have conducted orchestras from Asia and Europe, are there any distinct differences between Asian and European orchestras? Not really, orchestras tend to have a mix of players of different nationalities; hence they often have cultural differences. I remember once conducting an orchestra in Sweden. The orchestra sat and listened intently to everything I said. I was surprised and asked if there was anything wrong and they said no, they were listening to the rehearsal! Some people think classical music is boring and only for the elite. What do you have to say to that? Everyone is entitled to their own opinion but what I would say is give classical music a go and you might like it! I was recently reading an article which suggests that classical music is for snobs and elites but you know what? You get rock n roll snobs, pop snobs, jazz snobs, RnB snobs….the world has room to accommodate all this music and more so just let’s live side by side shall we?! I’m sure you’ve worked with many people before. Can you tell of the most interesting or inspiring personality that you’ve worked with? I was lucky enough to work with Colin Davis who sadly, passed away last year. He was a great conductor who shared with me many things including advice about how to be the best conductor. It was well known that as a young man he was quite direct and abrupt with orchestra, in a manner some would say rude. He had told me once that he regretted behaving in such a manner and that I should treat musicians with respect and patience. Those words have always stayed with me. Finally, say in 50 words or less, what your favourite piece of music is, and why? Too many pieces to say which my favourite is. There is simply so much music out there and I’m listening to new things all the time. But If I had to listen to the Bach’s everyday for the rest of my life I would count myself lucky. Catch Jason Lai in action conducting the Singapore National Youth Orchestra this Thursday evening at the Esplanade Concert Hall, 7.30pm. Tickets going at $10 each, available from Sistic. Stay tuned over the next few days for interviews with two other special people!